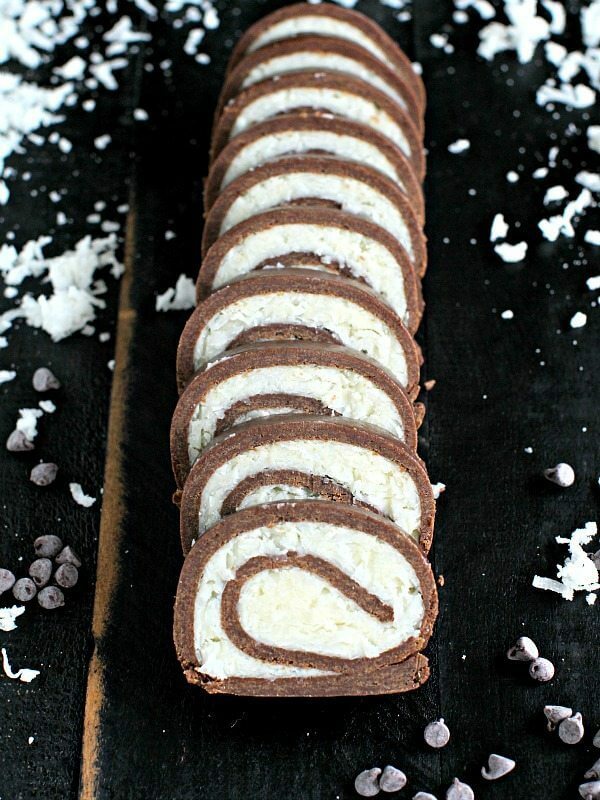 No-Bake Almond Joy Roll is dense, chocolaty and has a creamy, sweet and smooth coconut filling. Made with just a few ingredients in under 30 minutes. I love making no-bake desserts since they are quick and easy to make. My other favorite once are No Bake Cake Batter Truffles, No Bake Chocolate Peanut Butter Cheesecake, and No Bake Nutella Fudge. 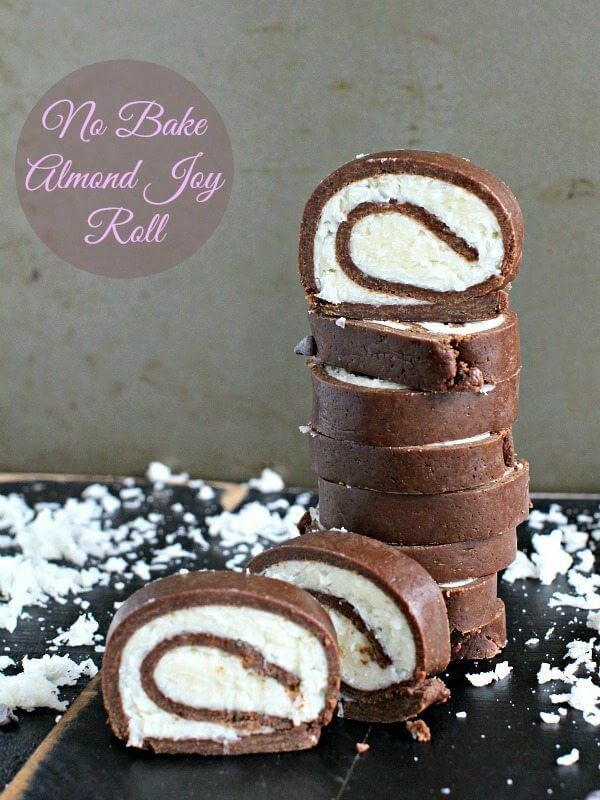 No Bake Almond Joy Roll that takes minutes to make! Chocolaty, filled with creamy coconut, and tastes like almond joy bars made easily in your kitchen. This No Bake Almond Joy Roll is incredibly easy to make, and it will be such a fun kitchen project with kids. The “dough” is made from crushed cookies or graham cracker crumbs, cocoa powder, and a little water. 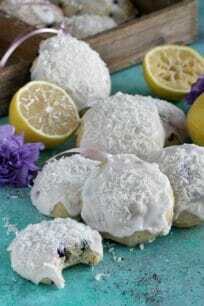 Filled with a creamy and smooth mixture of coconut mixed with butter, powdered sugar and a little condensed milk. You can use cookie crumbs or graham cracker crumbs. However, my first choice is cookie crumbs. If you decide to use graham cracker crumbs, I recommend adding them to the food processor. Make sure you pulse until you get a very fine “corn flour like” texture. For the chocolate “dough” you are looking for a very smooth and easy to work with texture. It should resemble play dough. Add the water a little at a time, because you don’t want to make it too watery. Hence, add a little at a time, mix, knead, until you get to a smooth texture you can easily knead and roll. The coconut mixture should be made with sweetened or unsweetened coconut flakes. Just don’t use the dried, shredded coconut, that one is not intended for this recipe. Add enough coconut mixture, but not too much, because it will be hard to roll. The roll must be stored in the fridge, because you don’t want the chocolate to melt. 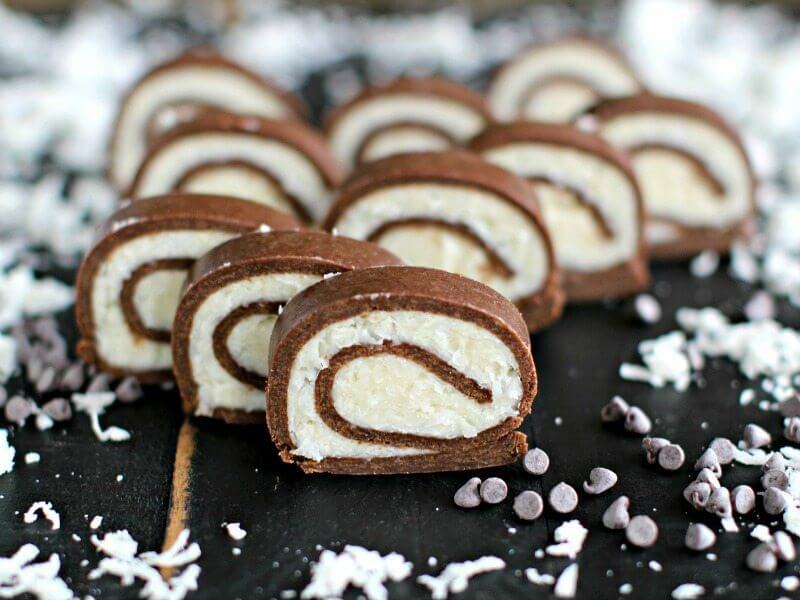 Pure and simple, this No Bake Almond Joy Roll is deliciously good. I like it more than the almond joy bars, because this roll is richer and tastes just a lot better. So it’s not just melted chocolate over coconut, the chocolate cookie layer is dense, rich and incredibly delicious. How long will No Bake Almond Joy Roll stay fresh? Best to store the role in the fridge. To do so, wrap tightly and refrigerate, the roll is good refrigerated for one week. 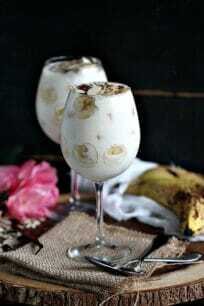 Coconut Flakes – in this recipe we use sweetened coconut flakes as they will give it the most creamy and soft texture. Condensed Milk – I like to add extra sweetness and creaminess to the coconut filling. You can substitute this for maple syrup. However, the condensed milk will add that extra richness to the dessert. Cocoa Powder – investing in high-quality cocoa powder is always a good idea for a prominent chocolate flavor that shines. Spatula – if you don’t have one, get one right now, it’s a lifesaver! Plastic Wrap – a kitchen staple, available in all grocery stores, you definitely need some for this recipe. 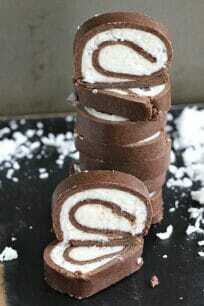 No Bake Almond Joy Roll is dense, chocolaty and has a creamy, sweet and smooth coconut filling. Made with just a few ingredients in under 30 minutes. If using cookies, add them to the food processor and pulse until you get a fine, corn meal like texture. Same for the graham cracker crumbs, even if you use the crumbs, not the sheets, add them to the food processor and pulse until you get a fine, corn meal like texture. Add graham cracker crumbs to a large mixing bowl, add the cocoa powder and mix. In a small bowl mix water and sugar and microwave for 1 minute to create a syrup. Add the syrup to the crumb mixture and using a fork start mixing until combined. Using your hands combine all the ingredients, knead until they form a non-sticky easy to work dough, if needed add more warm water little by little, the texture of the dough should resemble play dough. Roll it into a ball. It should be easy to work with it, like with cookie dough. Lay plastic wrap on the counter, it should be roughly 16 inches long, place the cookie dough ball in the middle and using a rolling pin, roll in into a thin rectangle. Mine was 10x12. Don't worry if the rectangle breaks into some spots, just take the broken pieces and press them into place with your fingers. The dough will have a play dough texture, so it's really easy to work with. Using a knife trim the edges. In the bowl of an electric mixer, or in a medium bowl using a hand mixer, beat together butter and powdered sugar until fluffy, for 1-2 minutes. Scrape the sides of the bowl, add the condensed milk and mix until combined. Using a spatula stir in the coconut flakes. Transfer the coconut mixture onto the cookie dough sheet, distribute in an even layer, ½ inch from the edges. Starting from the edge that is facing you, using the plastic wrap, start rolling the cookie dough sheet with the coconut mixture into a roll. Press well to form a log, cover in plastic wrap and refrigerate for at least 1 hour before serving. Do not remove the plastic wrap, store the roll in it, unwrap and slice only as much as you need to prevent it from drying out. wow who would have thought these were the no bake! That coconuty filling looks totally irresistible. Amazing, no? No bake, so easy but OMG so drool worthy and delicious! I always hated the almond in almond joy rolls…but loved everything else. So this recipe is perfect for me! Also love that it’s no-bake! I love almond joys and I LOVE that this recipe is no bake! A delicious treat for the win! This looks fantastic, Katalina! I can’t believe this roll is no-bake! Love it! Gale, this roll is absolutely delicious! These are no bake? No way! This looks amazing! Yes, NO BAKE and totally addictive! How much condensed milk do you use? I don”t see that listed. Also, is there another cookie that can be used? I can’t find the ones mentioned. Recipe sounds great and would love to make it. Thanks. Hi – sorry I was travelling and didn’t get a chance to reply earlier. Its 3 tablespoons of condensed milk, the recipe works without it as well, but I prefer the texture and the sweetness it adds. Also, you can use any hard vanilla cookies that can be processed in the food processor. Cookies that have the texture of an oreo cookie (obviously minus the cream in the middle). Even animal crackers should work. Hope that helps. What a pretty dessert. This would be perfect for Christmas to be shared with a crowd. Yum! Yes, Ali this would be so nice for Christmas! These look INCREDIBLE! No baking required plus beautiful presentation. Definitely giving this recipe a whirl! Thank you for sharing. Thanks Callie! Hope you try it and enjoy it! Hi Sarah, I hope you try the recipe for your mom and that she likes it! These look amazing and I love how they are no bake! Yummy!! This looks amazing. I need to follow a gluten free diet and at first I was afraid that I wouldn’t be able to make it until I looked at the ingredient list. I think I can easily find a gluten free chocolate cookie. Definitely on my list to make very soon. Thanks for sharing your recipe. oh yes these can be easily made gluten free, jus use gluten free cookies and you are good to go and in for a real treat! Thank you 🙂 I linked back to the post! This is no bake? It’s hard to believe because it looks just like a baked cake. The combination of chocolate and coconut always gets my heart to go pitter patter. I bet this is absolutely divine. Lynn, yes this is no bake, so easy to make and incredibly delicious! 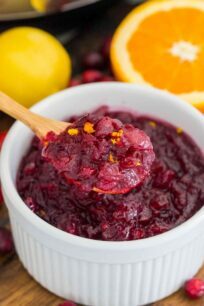 Super clever recipe and nice pics! Almond Joy is one of my favorite candy bars. Totally saving this to make later! Hope you like it Whitney! Wow – I cannot get my eyes off these! And they are no-bake! Fantastic recipe! MAXIMUM YUM!!! Just look at those rolls….. tempting, tempting, tempting! Is the condensed milk sweetened condensed milk or plain (evaporated) milk? When you put the coconut mixture onto the cookie sheet, do you mean the sheet of cookie dough on the counter? These look absolutely scrumptious, and I can’t wait to make them! OMG Im obsessed with almond joys, this is going to be life changing. Thank you so much for sharing. Dani you have to try this, its truly life changing! Hi Vicki, the sugar mixed with the water and microwaved is the syrup. Sorry for the confusion. Hope you like it. There’s a reason why they are called Almond “Joys” — because they fill me with joy! YUM! This is a pretty amazing no-bake recipe! Almond Joy’s are my son’s favorite so I’ll definitely be trying these! No bake? Really? Looks and sounds amazing, and I love almond joys. Brings back many childhood memories. No-bake dessert recipes are the best! I love how easily this one comes together too. OK so here s the part where I tell you that I have never had the good fortune in my life to taste an Almond Joy bar, and you all think what a hack and go running away from my website. Ahh Allmond Joys are my favorite and this looks incredible! And even better that it’s no-bake. Pinning!